In this life, there are polishes .. and then there are POLISHES. Polishes so damned beautiful and breathtakingly amazing that they belong to a litte category of their own marked "fire rescue 1". 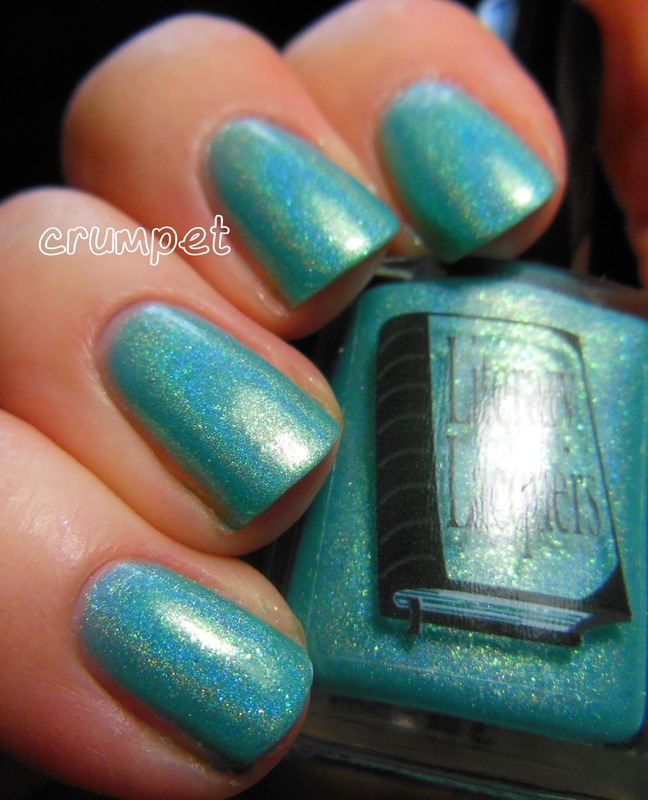 Behold Ether Binge, a miracle of a polish. 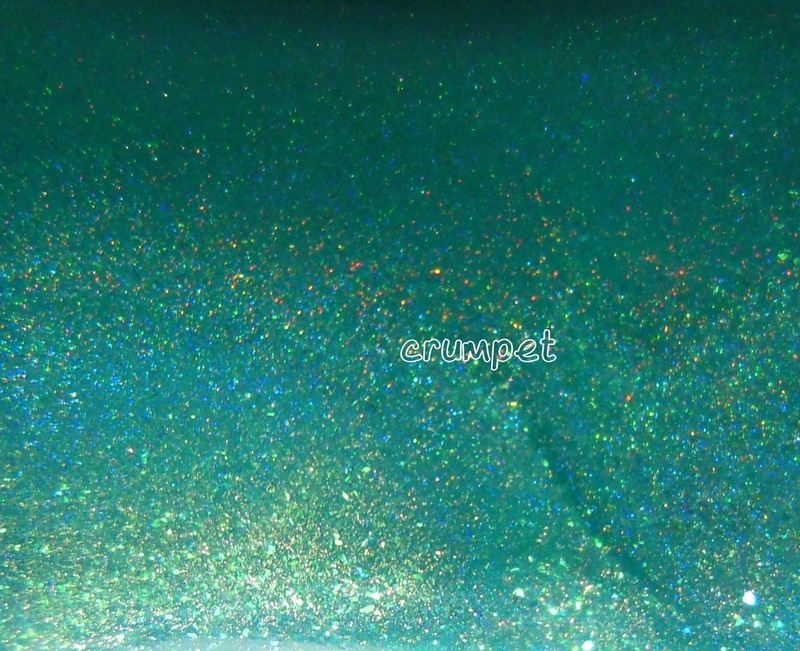 Beautiful sea-tinged turquoise, superbly holo, AND laced with a golden shimmer that would make mermaids shriek with jealousy. 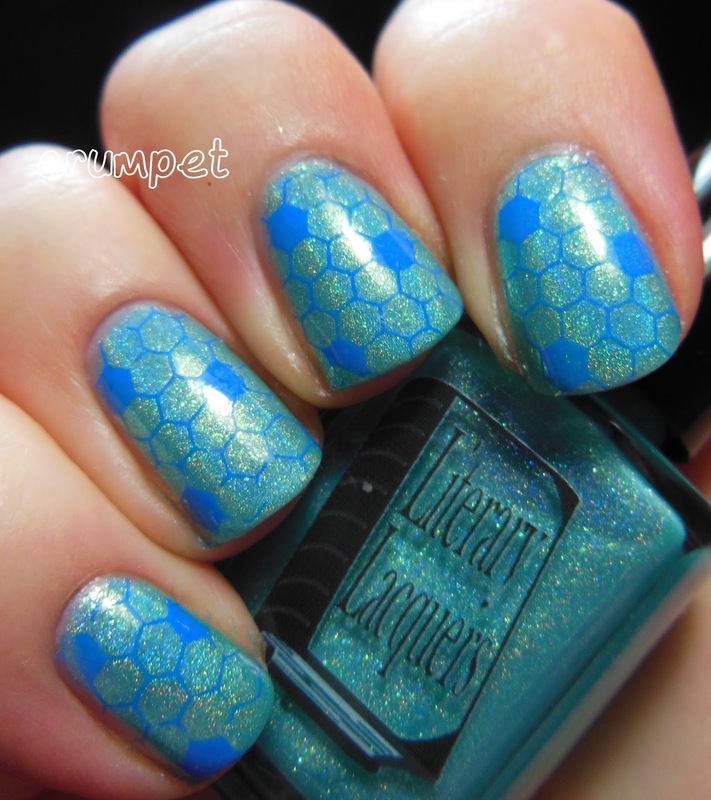 This is a spectacularly beautiful polish. Genuinely. I don't know how Amy does it, but she manages to take all these gossamer elements and plait them together into a concoction of beauty that hasn't been seen before. Totally in love with this. I then stamped over it, and if I'm honest, don't really like the results. 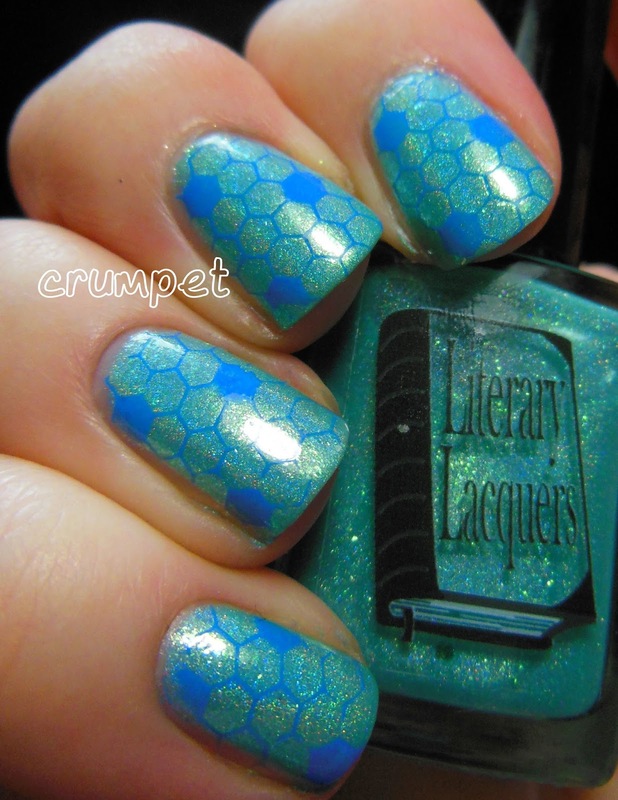 This is Barry M Damson, but it lost some of its drama on the stamper, and so the combination is a bit insipid.